SpaceX, is a Commercial Resupply Service (CRS-12) mission to the International Space Station (ISS) currently manifested to be launched on August 13th, 2017. The mission was contracted by NASA and is flown by SpaceX. 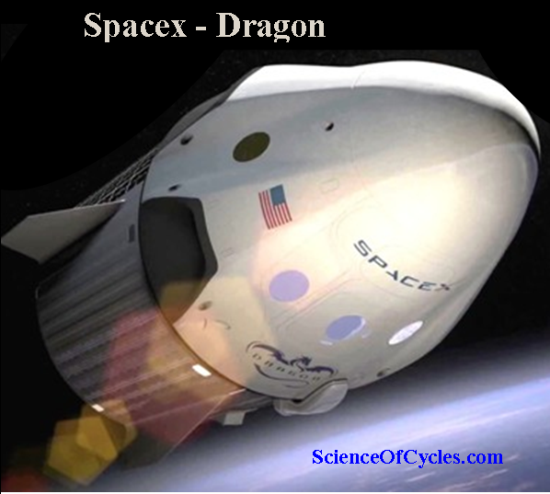 It will fly the new Dragon capsule. The Falcon 9 rocket’s reusable first stage will attempt a controlled landing on Landing Zone 1 (LZ1) at Cape Canaveral Air Force Station. Its main mission is to measure dangerous, life-threatening galactic cosmic rays. This project, called the Cosmic-Ray Energetics and Mass investigation (CREAM), features instruments to measure the charges of cosmic rays ranging from hydrogen nuclei up through iron nuclei, over a broad energy range. Researchers report once the ISS astronauts unpack it, the modified balloon-borne device will be placed on the Japanese Exposed Facility for a period of at least three years. 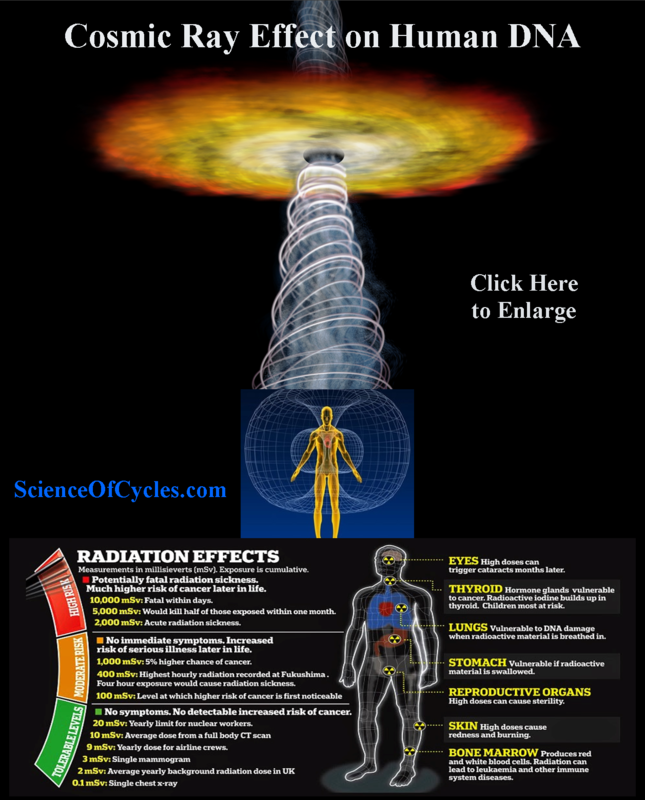 Here is the ‘rub’, a word now popularly use in broadcast news, NASA highlights the very real danger astronauts and cosmonauts will face is the serious consequences from exposure to high-energy galactic cosmic rays, including direct damage to DNA and changes in the biochemistry of cells and tissues. According to principal investigator Eun-Suk Seo of the University of Maryland Institute for Physical Science and Technology: Seo, says: “People on Earth are protected from these rays by the Earth’s atmosphere and magnetic field”. But what has not been taken into account is the current 14% increase of cosmic ray measurements in just over that last 24 months. 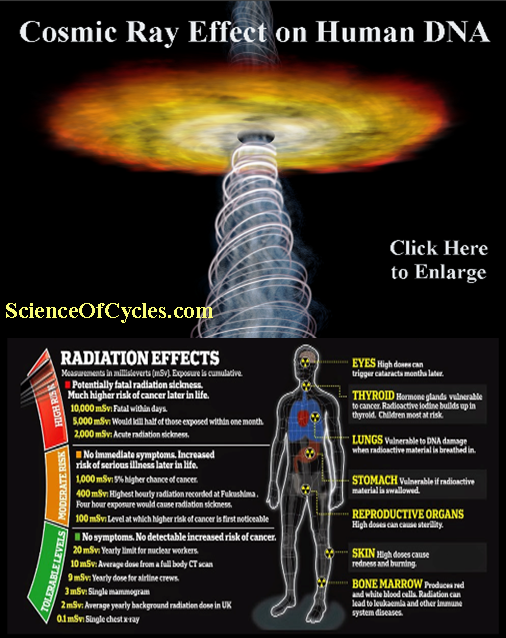 Additionally, the quickening rate of Earth’s magnetic field weakening of which both indicators the dangers to humans and Earth are already in-play. CREAM experiments conducted in six balloon flights at 25-mile (40-kilometer) altitudes over Antarctica have yielded a limited understanding of galactic cosmic rays. More study is needed to better understand the time-linked-means of how and at what pace the GCRs begin to have a measurable effect on our lives and planet in the years to come. The established three-year CREAM mission aboard the space station will significantly expand knowledge of cosmic radiation and what it might take to protect interplanetary travelers in the future. One final project onboard SpaceX cargo is provided by the U.S. Army Space and Missile Defense Command Army Forces Strategic Command. Chip Hardy, the program manager for the “Kestrel Eye” program, presented an overview of providing real-time information to ground troops regarding enemy location and movement. 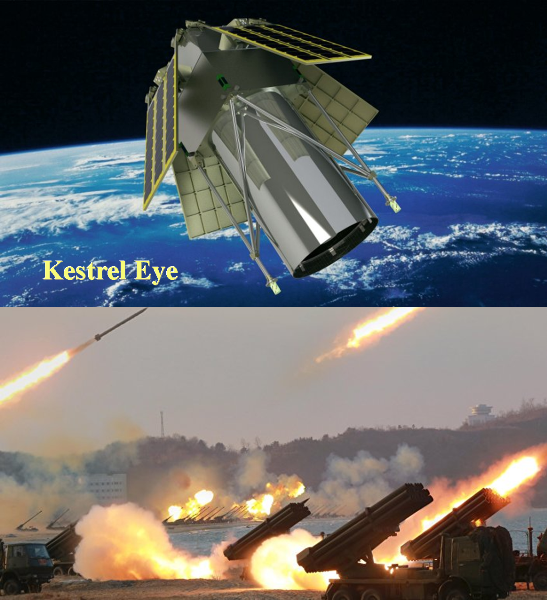 Kestrel Eye’s purpose, he said, is to “reduce tactical surprise” and “achieve overmatch at the squad level” by demonstrating operational prototype nanosatellites that make it possible to capture space-based tactical-level intelligence and situational awareness and make synchronized mission-command decisions on the move.